Every wedding is unique and this is especially so with destination weddings! There may be a few additional factors to consider when tying the knot in Las Vegas, that you maybe wouldn't have to consider locally. Things such as: booking hotel rooms, flights, transportation to your venue for your guests, hotel room blocks for guests, and more. But, don't let that stop you from having the wedding of your dreams in fabulous Las Vegas! We've been photographing weddings in Vegas for almost 9 years, including countless destination weddings from intimate elopements to weddings with 100 + guests. Couples travel a few hours from Southern California, as far away as Melbourne, Australia, and all places in between. It's such a treat for us to get to meet and create relationships with so many amazing couples! As we've gotten to know our couples in the months before the wedding day, one of the main things we want to communicate with them is the importance of a timeline. Whether it's a quick 2 hour elopement or a traditional wedding with a reception, all wedding days can benefit from a timeline. They will keep the day running smoothly and having a timeline helps give everyone involved piece of mind. Today, I'll be sharing a timeline for a destination wedding day where the couples chooses a first look + ceremony + reception, averaging 7-8 hours of coverage. This tends to work well for the majority of our couples, however, we always work closely with each individual bride and their wedding planner to ensure everything runs smoothly! 2-3pm (1hr) Photographers Arrive to Hotel for Getting Ready images. I usually arrive to the bridal suite as the hair and makeup artist is finishing up to grab some of those action shots. 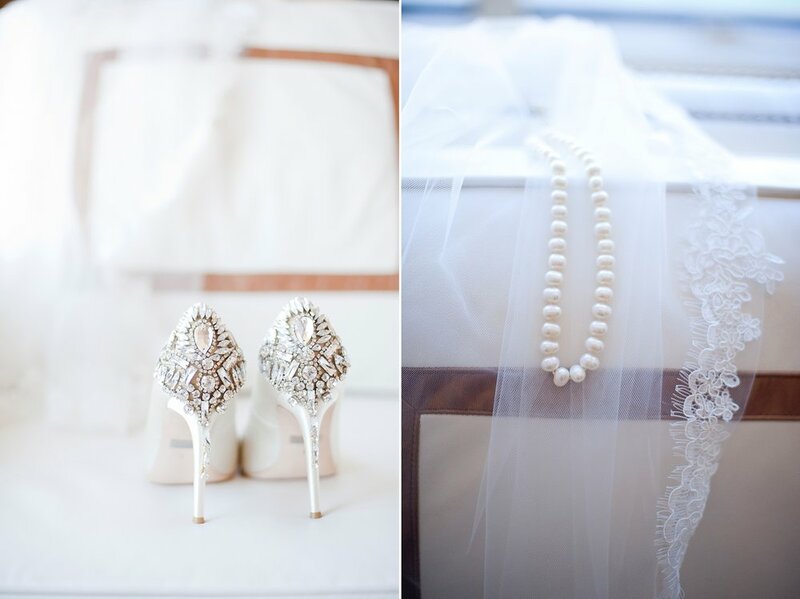 Then, it's time to capture all the pretty details in the room such as your dress, shoes, jewelry, invitation, perfume, etc. This is a great time to relax and enjoy some champagne with your bridesmaids before it's time to get dressed and go see your groom! Meanwhile, Jason is off with the groom and his groomsmen, capturing their details. You may also need to account for travel time if you're getting ready in your hotel room and your ceremony and reception are in another location. If your venue is 15 minutes away, factor in 30 minutes of travel time. It's always best to add at least 15 minutes to add "cushion" to the timeline. 3-5pm (2hrs) First Look + Bridal Party + Bride & Groom. Jason and I will find the perfect spot where you will be able to share a private and special moment together. This is one of our favorite moments, as the bride and groom really get to enjoy a nice quiet moment before the ceremony. Plus, a first look allows you to be together throughout your entire wedding day and it totally helps calm your nerves! After the first look, we meet up with the bridal party for some group photos, before taking you away again for some portraits of just the two of you. We always give you at least 30 minutes to break from photos and freshen up before the ceremony. We use this time to capture all the pretty details of your ceremony and reception spaces. 5-7pm (2hrs) Ceremony + Family Photos + Cocktail Hour. We understand how significant this moment is and our style is to photograph your ceremony as it unfolds, in the most unobtrusive way possible. Immediately following your I do's, we'll move right into the family photo groups. This works great, as everyone is together in one spot. Having done a first look and most of the formal portraits before the ceremony, most couples get to enjoy mingling with their guests during cocktail hour after the family photos. 7-10pm (3hrs+) Reception Coverage. Let's get this party started! Now that all the nerves of the ceremony have passed, it's time to pour some more bubbly and toast to the happy couple! 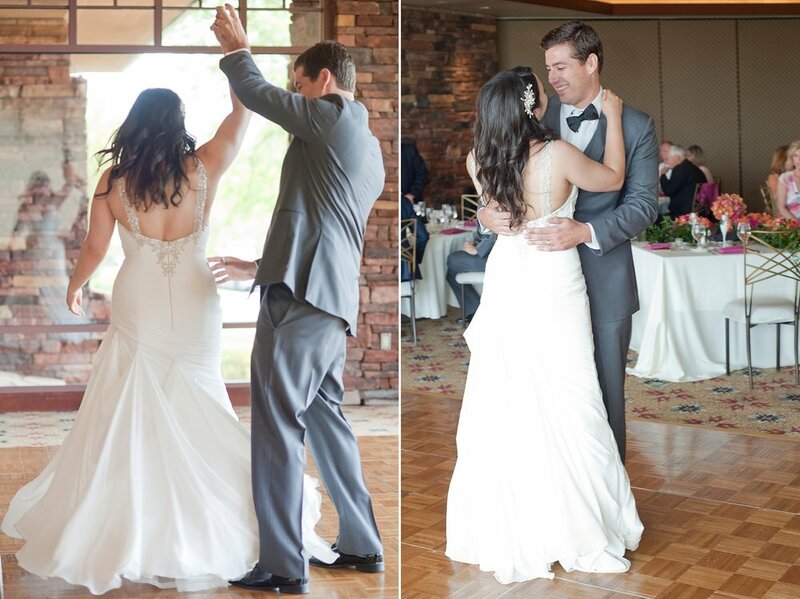 We'll be there to document your first dance, parent dances, cake cutting, toasts, and any other special traditions you may have during the reception. Oh, and of course we can't forget the fun sparkler send off! Of course, this is a template and guide to help you plan your timeline. It works for most of our couples but your timeline may look similar or completely different from this and it's totally ok! As your wedding photographers, our goal is to capture your day as it happens and make beautiful memorable images for you. Having a complete timeline done before the wedding day, ensures that we'll be able to better serve you and you will be able to enjoy your day knowing that your day will flow nicely.